"I am a man of fortune and must seek my fortune" - Cpt. 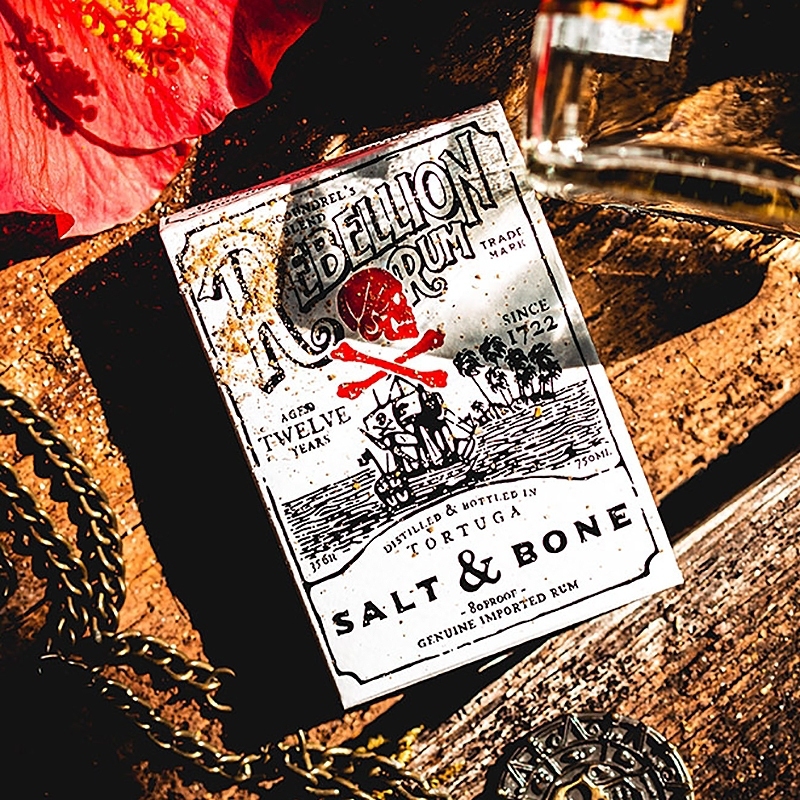 Henry Every Stolen from the shipwreck aground the piping hot sands of tortuga beach, these are salt and bone playing cards as a pirate does, it's time to take what's yours. Inspired by the life and crimes of Captain H. Every, the man behind the biggest heist in history, this deck celebrates bad intentions by becoming the lost bounty. Pirate Captain Henry Every and his crew pulled the biggest heist in history, before disappearing with his ill-gotten gains. Nothing was ever recovered... Aboard the bone white tuck ypu will see an imperfect paper grain reserved for rich man and cunning thieves. Completed with black and red foil that adds the smoothness of a calm ocean day. With all custom pips that twist and snake you towards the treasure, and court cards that contain the sigils of the most infamous pirates to ever live. Like the Captains garbs, these cards have a true linen finish and the B9 stock is layered with an antique black patina... the first of it's kind. • Ellusionist quality. • The cards are poker size.